These two girls from Seattle show us, yet again, that being a rocket scientist is not as distant a possibility as you may think! 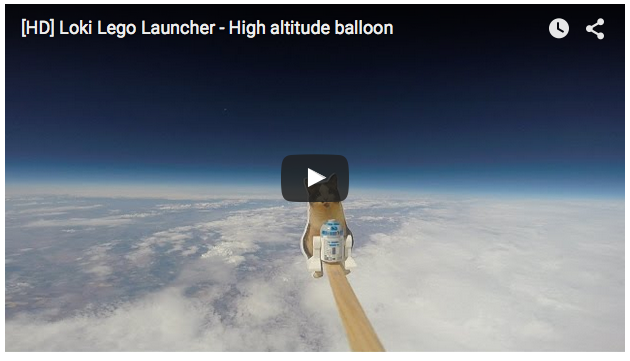 Awesome project here with their “Loki Lego launcher.” Enjoy reading the story and watching their inspirational footage. If you want more background, including their endearing list of “Lessons Learned”, read this article on GeekWire. What kind of aerospace project would you love to work on? There could be an off-the-shelf “hack” that will give you that experience in a relatively fast and affordable manner! If you need help thinking of innovative options, write a comment below and we’ll brainstorm together. That’s a great video David! Thanks a lot for sharing it here. Interesting marketing event from Hyundai to create a message seen from space with car tire tracks. That’s the magic of thinking big and working with a team! Thanks for your comment and compliment! Plenty of opportunities to get experience in aerospace before you leave school, just send people this way for more ideas and examples. The wwords in your post eem to be running off the screen in Opera. but I thought I’d ppost to let you know. The style and design look great though!